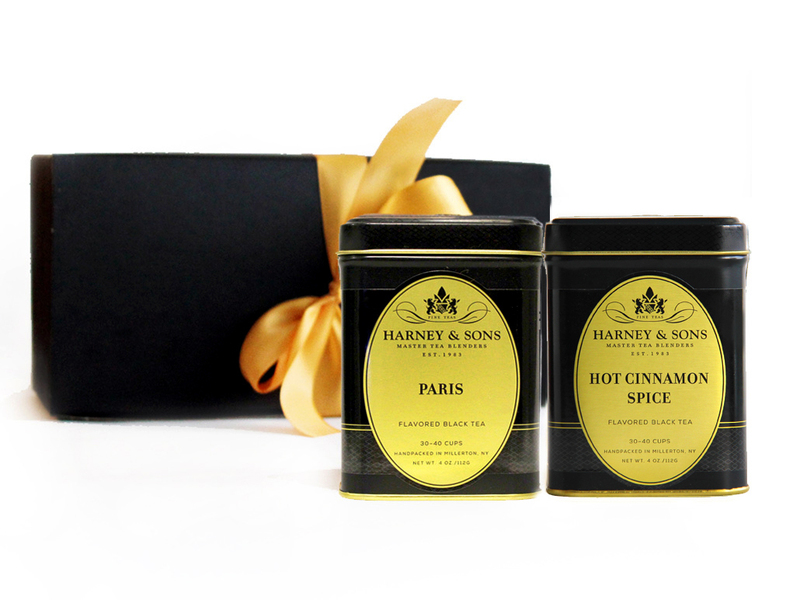 Our selection of Harney & Sons Fine Teas is the perfect choice for a gift to give to your customers, suppliers, employees or anyone else you want to recognize. To find out more about our special corporate gift pricing, please fill out the form below. We will get in touch with you within 24 hours of receiving your request, to find the best available options for your needs and budget. Why should you choose Premium Teas for your corporate gifts? Our selection of Harney & Sons Fine Teas consists of the most popular fine tea blends that everyone would fall in love with. The products are delicious and beautifully packaged for an extraordinary tea experience. We’re flexible. We can customize gifts sets to your needs and budget or you can pick and choose. We’re here to help you select the best corporate gift sets. We support long-term and short term notices for shipping dates and can deliver directly to you within one business day if you’re in Toronto or ship it to you using a variety of shipping methods. If sending it directly to your receivers, we can include a gift message on your behalf. Volume pricing is available. Please contact us to inquire. To get in touch, fill out the form below. We usually respond within 24 hours.